In today’s business environment, data is emerging as a new type of assets. Organizations collect, accumulate, clean and analyze huge amount of data. Data is acknowledged as a key factor of whether an organization will remain relevant throughout the digital revolution. Numbers are revealing that, obviously, data is the new basis of the future economy. A Data-driven economy is important because it increases competitiveness, innovation and business opportunities at a world-wide scale. One hundred years ago, it was obvious that the major world resource was oil. Transforming from an industrial society to a data – driven knowledge society has brought new fundamentals. As a result, a new type of oil is started to be acknowledged as “data”. On the other hand, we as @BaslangicNoktasi are not fully convinced with the analogy made by Clive Humby. 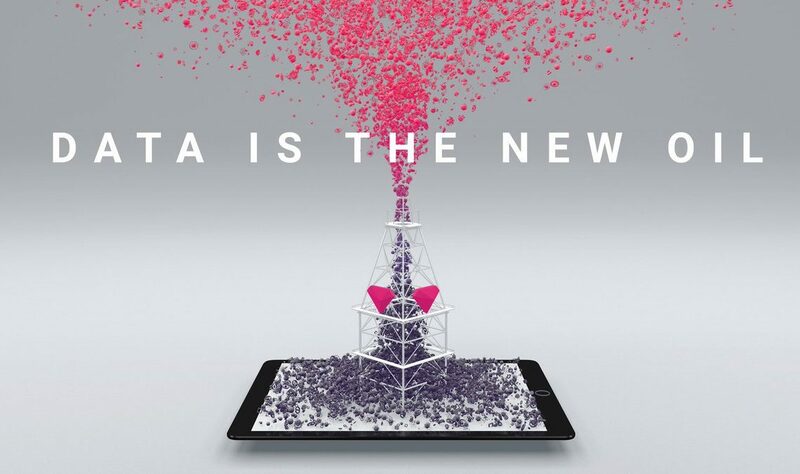 Our point about data is that it is much more than just a new oil. Why? Exponential Growth: Data is constantly being created and growing exponentially, while oil is a finite resource. Usage Attributes: Oil is destroyed after use, while data can and should be used again. Control: Due to the fact that the supply of oil is fixed, it is easily controlled by a small number of owners. On the other hand, the value of data is not mainly related to its ownership. Instead, value is generated through analyzing and rendering the data. The Next Generation Internet (NGI) initiative has been established by the European Commission. This program has an ambition to guarantee the development of an internet that respects human and societal values, privacy, participation and diversity, and offers new functionalities to support people’s real needs, and addresses global sustainability challenges (Viola, 2016). The overall vision is based on the idea which is increased via connectivity and the progressive adoption of advanced concepts and technologies, encompassing numerous spheres such as AI, IoT, blockchain, big data , better value is delivered to the people and to the society. It is vital for the governments to understand how data can help organizations, society and people. Understanding the economic benefits of data will enable governments to develop effective policy making processes. An Effective Government: With usage of data in policy making process, governments can enhance their decision making with compromising at desired level of quality and time. As a result, beneficial policies will be able to be developed on time when needed. Citizen-centric Policy Making: Amalgamated information about people, their lives, their current needs and the gaps in the services and demands will help governments to develop citizen-centric policies. The way of amalgamating data requires a holistic approach that contains all the players’ support. Data such as finance, health, education and security can be consolidated from private and non-private institutions. In conclusion, governments can deliver more beneficial policies to the society. 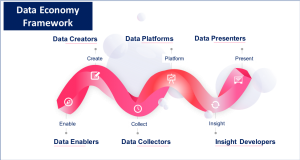 Data Enablers: Data enablers are the fundamentals and back-bones of the entire data economy framework that encompass IT infrastructures, sensors, chips, cloud technologies. Data Creators: Data creators generate data from IoT and traditional data resources. Data resources contain categories of applications, social media, websites, open sources, APIs, financial transactions, surveys, censuses, and digitized hard copies. On the other hand, IoT data resources contain data from physical technologies. Data Collectors: Data collectors consolidate all data types that are spread around. They collect and share online and offline based on their needs. Data Platforms: These group mediates between data collectors and insight developers. Data exchange market is one of the most prominent example for the data platforms. Insight Developers: With the utilization of statistical models, artificial intelligence (AI, ML, DL), advanced analytical capabilities, insights (descriptive, predictive and prescriptive) are developed based on the aggregated data. Data Presenters: Once the data is created, collected and analysed, it is required to visualize. Data presenters visualizes the insights that are developed. Developing a comprehensive and impactful data economy requires a great collaboration amongst all stakeholders such as governments, organizations, society and people. The process is complex and requires specific focus. In order to create a successful data economy, governments should develop required policies to establish open data market, free access for the data, and data protection policies, organizations should develop the required data institutionalization in their structure and embed data into their DNA. Define the organizations’ desired role in the data economy. Define a organizations’ data economy policy and mission. Develop a policy to control data when its shared with external stakeholders / partners. Develop institutional knowledge with respect to data monetization. Find data in all its forms across the organizations as well as publicly available develop a data monetarization strategy to unleash economical value of data. Develop a strategy in order to utilize benefits of the data exchange market. Datalanscape. (2019). The European Data Market Monitoring Tool. http://datalandscape.eu/european-data-market-monitoring-tool-2018. European Commission. (2017). Communication on Building a European Data Economy. European Commission. Mandel, M. (2017). 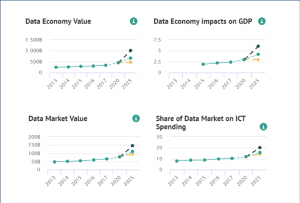 The Economic Impact of Data: Why Data Is Not Like Oil. Progressive Policy. PwC. (2018). Data Exchange As a First Step Towards Data Economy. PwC. Viola, R. (2016). Next Generation Internet: The Internet of humans. European Commission. PS: In this article, we have not focused on the regulatory aspect of data economy due to the fact that we believe the regulatory aspect deserves dedicated assessment. Thus, the regulatory aspect of data economy will be articulated in other articles.